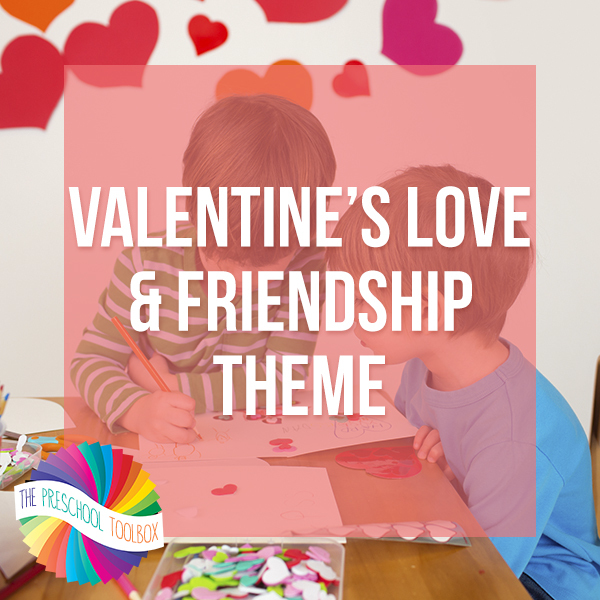 The Valentine’s Day Love and Friendship Thematic Unit is a 91 (total) page unit for use in Preschool and Kindergarten. If you plan to use the theme to accompany core studies for one week only, you will have many activities left for a “new” unit the following year. This theme includes playful learning activities for math, science, and literacy as well as numerous songs, poems, art and crafts activities, gross motor ideas, food/food crafts, dramatic play, and book suggestions. A 24 page instructional manual serves as a guide with detailed instructions/photos for games, projects, and activities. There are 2 Power Point presentations and 25 activity files (some with numerous pages for differentiated learning) that are ready to download and print. Suggestions for younger or slightly older children are given where possible. Preview the Valentine’s Love and Friendship Theme HERE.